Follow this gallery trail to find out how and why people remember those who have served in wars. The First World War took place 100 years ago, but even today people remember what happened and commemorate the people who died. Follow this gallery trail to find out how and why people remember those who have served in wars. Bring the trail along when you visit the National Army Museum. It takes you to four different galleries, which you can visit in any order. 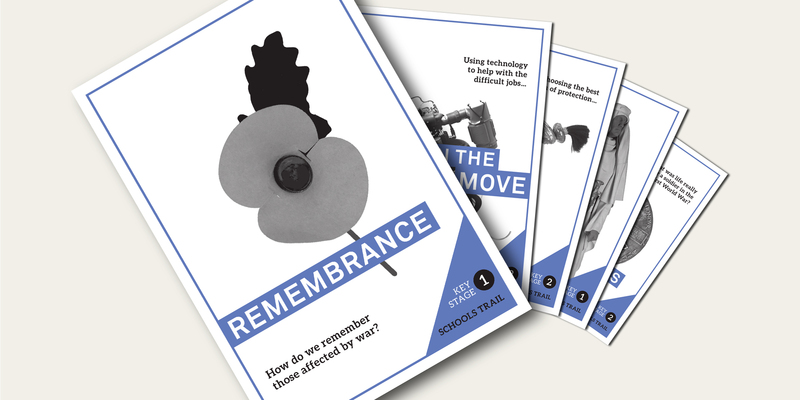 Our growing selection of resources are designed to support young people’s learning needs in the classroom, at home or during a visit to the National Army Museum. Discover some of the stories of Remembrance held by the Museum, the evolution of the poppy as a symbol, and how it is used today. The First World War was the first truly global conflict. It cost the lives of over ten million soldiers worldwide.